High River, AB, June 12, 2018 – Rowan House Society is making its voice heard at a conference being put on by Women’s Shelters Canada June 13-15, 2018. The conference is the first of its kind in Canada, providing an opportunity for crisis and transitional housing shelter staff to come together to make a difference for women and children affected by domestic violence. “It’s a great opportunity for us to network and learn from our sister shelters and see how they are doing things across the country,” said Rowan House Executive Director, Sherrie Botten. “We are also excited to be one of the shelters to present on our work.” Botten is slated to present on Removing Barriers to Service: The Journey to a Trauma Informed Practice and The Impact of Second Stage Housing Services, while Janna, Children’s Program Team Lead, will be co-presenting as part of an Alberta Council of Women’s Shelters (ACWS) committee on The Healing Brain: How Children’s Programs Can Improve Effectiveness Through Integrating Brain Science. Rowan House’s attendance at the conference was made possible through a Government of Alberta Status of Women community grant. 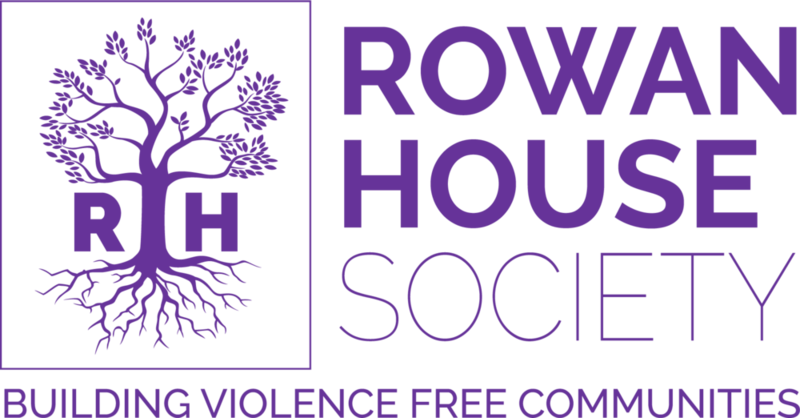 High River, AB, October 25, 2017 – Rowan House Society is expanding on its annual Purple Ribbon Campaign in an effort to get the public talking more about domestic violence. This year, Foothills residents are encouraged to pick up a pair of free purple shoelaces and wear them for the month of November to show their solidarity in supporting women and children affected by family violence. The Society is using the hashtag #LaceUpForRowanHouse so people who are wearing the shoelaces can share their stories and pictures on social media. They can also add a temporary Facebook Frame to their profile pictures. Regular purple ribbons and information cards will also still populate the downtown streets of High River and Okotoks as they have the last few years. Botten says it’s going to be a very busy month for staff at Rowan House. “In addition to making the public more aware about domestic violence happening in our community, we’re giving them many opportunities to learn more about what it is exactly, how it affects families and what we all can do about it”. Free DV 101 and Leading Change workshops will be offered throughout the month, as well as a free screening of the prize-winning documentary, “A Better Man” – where 20 years after fleeing an abusive relationship, filmmaker, Attiya Khan confronts her abuser, Steve, who agrees to talk about their past on camera, creating a unique dialogue on domestic violence. Full details for all events can be found at www.rowanhouse.ca/events. Shoelaces can be picked up at Sun Country 99.7 studios in High River, while supplies last.